Surly Mountain Frame Bags are designed specifically to fit in the main triangle of your Surly frame. They’re handmade in the U.S. by Revelate Designs out of Dimension-Polyant VX21 polyurethane-coated fabric. They’re durable, rip resistant, tightly woven and laminated to be highly water resistant. Revelate advises using stuff sacks inside (such as those in which our bags are packaged) if you think you’ll be riding in extended downpours or underwater. 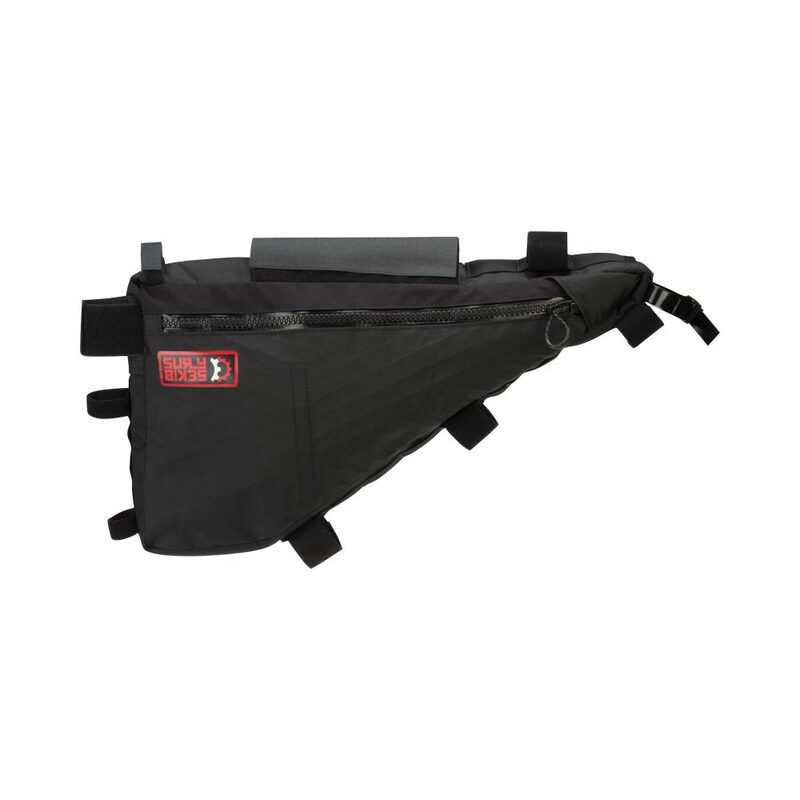 Our Mountain Frame Bags use a ladder strap system, which lets you customize the fit and placement of the mounting straps. So if you have some weird contraption clamped to your frame tubes like a chain keeper, cable pulley or some trinket grandma gave you, you know it won’t interfere with the mounting straps on the frame bag. Compartment access is controlled by quality YKK brand water-resistant zippers. 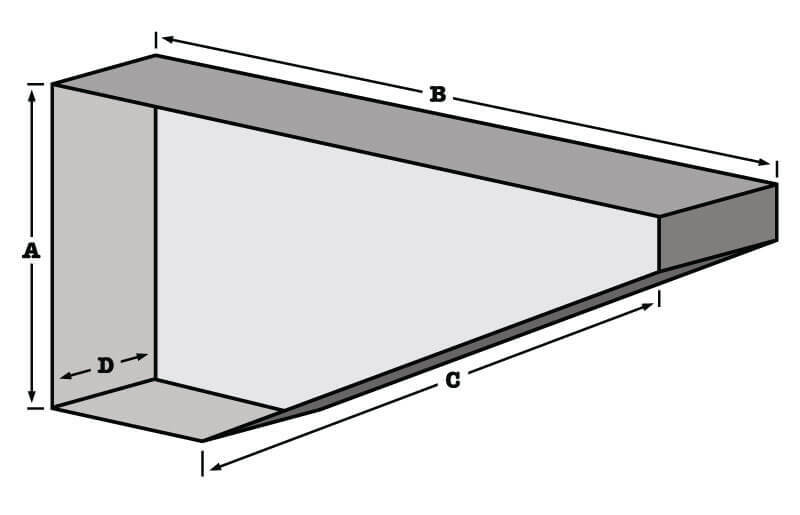 The large main compartment has a flexible divider inside, and there’s a hidden pocket too. There’s also a compartment suitable for smaller items you’ll access relatively often, like your map, phone, hard-boiled eggs, uncontained pudding, marbles for playing marbles, your dugout, that ring you found that makes you disappear when you put it on, or what have you. NOTE: due to the rough texture of the mounting straps, prolonged use may lead to scratched or worn paint. Those worried about keeping their frame looking pristine should immediately look for some other type of bag, or figure a way to protect their paint, such as duct tape, or tatting a top tube doily – for example.